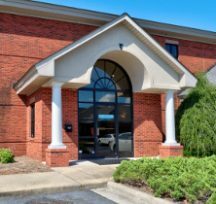 Our Greenville, North Carolina location offers the best of both worlds – a technologically advanced dental office with traditional family values. Our practice combines advanced diagnostic tools, like digital X-rays and Panorex, with unrivaled customer services, including thorough examinations and help with dental insurance. In addition, we feature the latest general, cosmetic, and restorative dental services, including chairside teeth whitening and dental implants. We can fulfill your smile goals, no matter what they might be. Our office accepts Medicaid and NC Health Choice. 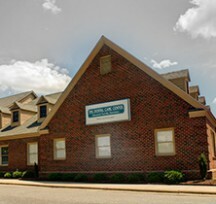 At our Greenville, NC location, you can trust our general dentists to deliver the exceptional care your family deserves. Contact us for an appointment – we can’t wait to make you smile! Dr. Watson grew up in the mountains of North Carolina. He graduated from the University of North Carolina at Chapel Hill in 1989 with a degree in Chemistry and received his DDS from the UNC School of Dentistry in Chapel Hill in 1993. He completed a postgraduate training program in Esthetic Dentistry at University of Missouri – Kansas City in 1996. He has completed numerous courses at the Las Vegas Institute for Advanced Dental Studies. He and his wife, Jennifer, have two daughters, Erin and Meredith. They also have two dogs, a German Shepherd named Trigger, and a Pekingese named Bitty Bear. He is an avid shooter and enjoys both time at the range and also first person shooter video games. The whole family are big Disney fans and love movies. Dr. Higgins graduated from North Carolina State in 1990 with a bachelor’s of science in zoology and attended Dental School at the University of North Carolina, Chapel Hill. Dr. Higgins has also attended the LD Pankey Institute and the Dawson Center for Advanced Dental Studies. Dr. Higgins enjoys camping, skiing and spending time with his wife, Kelley and their 3 children. 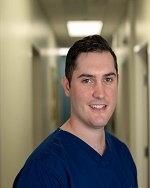 Dr. Higgins is a graduate of Louisburg College, North Carolina State University, and received his Doctorate of Dental Surgery from the University of North Carolina at Chapel Hill. He has completed many courses in cosmetic and complex restorative dentistry. Dr. Mani graduated from North Carolina State University in 1985 with a bachelor’s of science in zoology; he attended the University of North Carolina, School of Dentistry, from 1985 to 1989 and worked with the US Public Health Service from 1989 to 1993. He returned to NC in 1993 and started his own dental practice in 1997 in Wake Forest, NC where he lives with his wife, Shirley, and two daughters, Rachel and Meera. In addition to practicing dentistry, he enjoys tennis, basketball, hiking, and travel. Dr. Collins is from Kentucky and attended the University of Louisville school of Dentistry. 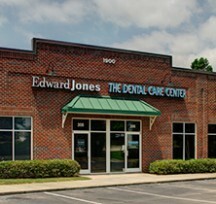 Afterward, he completed a Periodontics residency at Emory University in Atlanta. He moved to North Carolina to work at the dental school in Chapel Hill on a post-doctoral research program funded by the National Institutes of Health. While at UNC-CH, he authored 17 research articles in the field of periodontal disease research and implants. As a member of Central Baptist Church in Henderson, Dr. Collins has been involved in mission work on 4 continents. An avid cyclist, he enjoys bicycle touring and travel with his wife. They have 2 adult children. 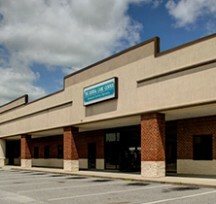 Dr. Jilg grew up in Goldsboro, North Carolina and loves eastern NC. 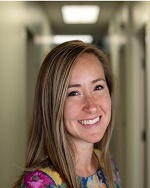 She graduated from Campbell University in 2013 with a bachelor’s of science in biology and then went onto graduate from East Carolina University School of Dental Medicine in 2017. After finishing dental school, Dr. Jilg went onto complete her Advanced Education in General Dentistry residency through NYU Langone Hospital. Dr. Jilg loves providing high quality dental care to her patients and believes that their needs should always come first. She believes that oral health education is key in order for patients to make the right decisions concerning their oral health. In her spare time, Dr. Jilg enjoys traveling, running, going to church, and spending time with her husband and their animals. 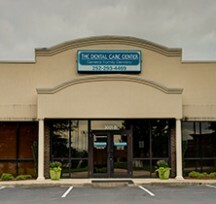 Dr. Williams joined the Dental Care Center in the Summer of 2018. He is originally from Western New York. He completed his undergraduate studies at the State University of New York at Fredonia where he earned a bachelor’s degree in Exercise Science. Dr. Williams went on to earn his Doctor of Dental Medicine at Lake Erie College of Osteopathic Medicine located in Bradenton, Florida. He completed 3 years of his graduate studies providing care for residents on the Gulf Coast before moving back north to Erie, Pennsylvania where he completed his final year of clinical practice providing care to low-income populations in Northwest Pennsylvania. 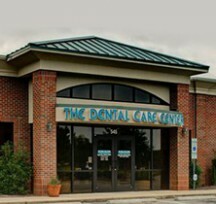 Dr. Williams is a member of the North Carolina Dental Society and the Academy of General Dentistry. He moved to Eastern North Carolina with his fiancé and two dogs.